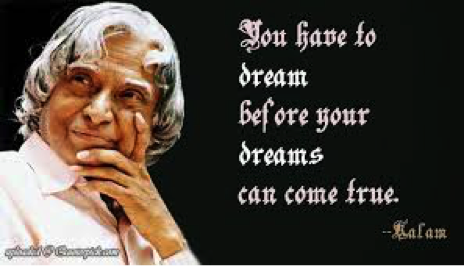 It is hard to believe that the great Missile Man of India is not anymore amongst us. His entire life was devoted to a purpose. A sterling political career and an active personal life and the divergent professional endeavors he undertook carried a message and motive for all those he considered his own, i.e. the entire country. The meteoric rise of former President Kalam, who was born to the family of a boatman and despite tremendous financial handicaps rose to lead a staggeringly successful life tenure as the country’s 11th President breaks the stereotypes we have come to associate with the less privileged and the less fortunate who are fundamentally tipped to garner lesser success than those who hail from stable and abler economic backgrounds. It is no irony that the father of India and the father of India’s missile program were both born in the same month, thus giving enough substance to hail the facet as nothing short of an October Revolution. The 84 year old was born in Rameshwaram on October 15, 1931 to a family that had anything but economic stability. 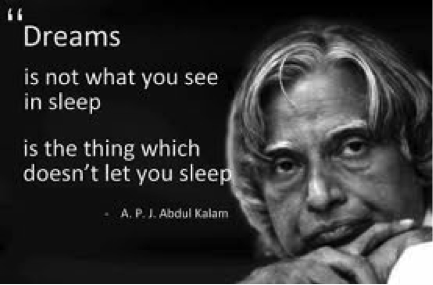 In a world where success is largely being attributed to the bank balance we enjoy in multiple accounts and the number of likes we tend to enjoy in personal, societal and professional circles, Kalam’s sterling life journey is a testimony to the fact that tireless devotion and immense hard work are just the basic constructs we all should be devoting our lives to and must we not stop at garnering success alone. We must further a path that directs new horizons and newer challenges upon us if we are to lead a truly meaningful life. 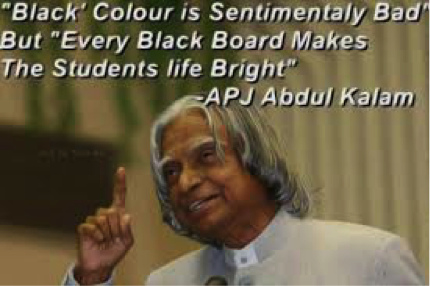 Kalam first succeeded at his Schwartz High School at Ramanathpuram where fellow students were quick to find a glowingly brilliant student among them. 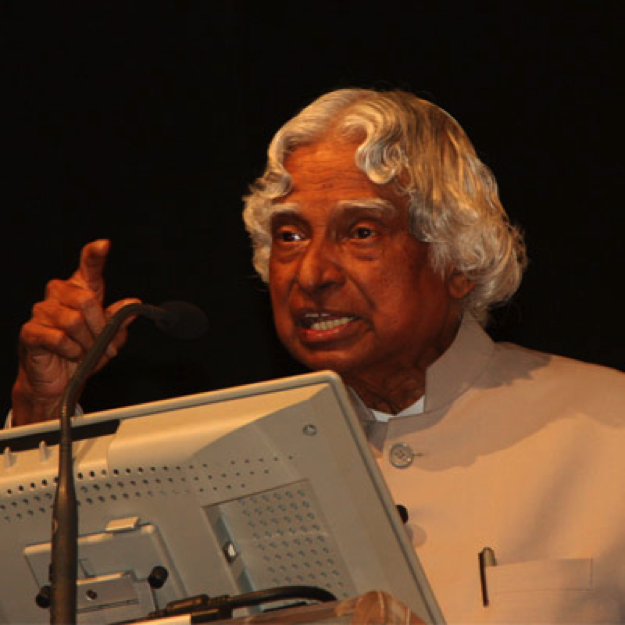 Kalam then took his genius scholarly aptitude to St. Joseph’s College at Tiruchi where he excelled at Science in graduation. After a painstakingly successful pursuit of a diploma in Aeronautical Engineering from Madras Institute of Technology in mid 1950’s, the future successes at DRDO, the comprehensive successes of Agni, Prithvi , Trishul, Akash and Nag missiles in his divergent and glorious career marked a checkered career replete with outstanding technical and scientific success. There are men who are destined to succeed as the popular notion goes. Then there are those who arduously construct the path to their success. In so doing, they surrender personal glories and put the cause of the nation ahead of their individual success. Kalam, the recently deceased and forever mighty legend stands true to this serene and lofty standard of living where one lives a life devoted for the cause of making an entire nation proud. There is less space for ruminating on personal landmarks and the focus remains in garnering pride for the country. Recognized in every part and strata of the world where Engineering is more than just a technical prowess that guarantees personal career success and where the term Space isn’t just a lofty description to explain the unknown in the world above us, Kalam’s is recognized as a bright star in the world’s diverse galaxy of amazing scientific talents. 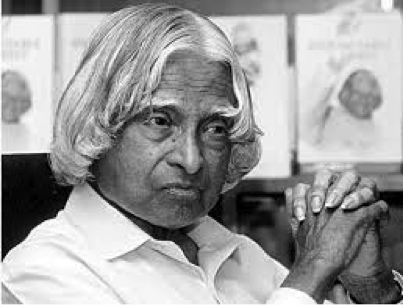 Behind India’s magnificent space program and proven excellence bagged by ISRO’s all round excellence, there is an undeniable and irreducible role played by its most shining star: APJ Kalam. He was also instrumental in reforming the Defense Research Development Laboratory. 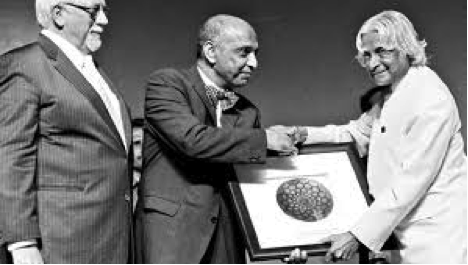 In the light of his tremendous selfless achievements, India has honored him justly by extending all possible civilian honors of extensive decorum such as the Padma Bhushan in 1981, the Padma Vibhushan in 1990 and the Bharat Ratna. One wonders whether naming a civilian honor after him would do enough to suffice the substantial contribution he provided in shepherding the nation brilliantly during a tectonic term where he was made the President amidst exceedingly tense times of our Foreign Policy. We are increasingly living in times where self marketing is the conventional norm for success. Self propagation and personal PR go a long way in ensuring that publicity is extracted from every nook and corner for almost every individual’s life who wishes to become successful. Amidst such times, the nation is now bereft of a humane individual who lived an entire life devoted to his principles, beliefs, ethics and morals whose cornerstones were education, selfless devotion to the national interest and enabling a life transformation of all those who had the talents but not the means to garner success. Former President Kalam continued to live in a single room accommodation well into his formative years of life and remained fiercely loyal to all those who came in contact with him. Hailed as special and sweet by children for whom he was a fatherly figure, he was respected in international diplomatic circles and foreign policy conundrums beside being loved by even by those who opposed his government. They say, if you want to be known and admired, then connect to the youth. Kalam didn’t need popularity or organic likes so to speak to construct a remarkable career and be known outside of it. Even when he retired from his political life and career, there was no retirement as such. Effusive in motivating the younger generation to lead a life of meaning and simplicity, Kalam’s ink bears the responsible, affectionate, caring and passionate zeal to depict an India that lies beyond the conceived societal evils, the impregnable economic differences between its classes and the disparaging notion that tends to limit India as a nation known for its rituals, rich man and poor man divide and the chains of corruption and hypocrisy that daftly sing the poor narrative of its contrived picture. The will to work and work tirelessly led the great man to write memoirs, success mantra’s and draft some outstanding intellectual pieces that are devoted to fuelling the youth with a burning desire to succeed. His books are dedicated to the principles and tenets one must follow as the man himself did in leading a life where success ultimately comes but not before rigor, relentless commitment and very simply, a devotion to succeed. His books have also been instrumental in bringing to the youth the wonder they seem to have forgotten: India. That success comes to those who have the patience and diligence backed by the perseverance to attain it still continues to be the popular dictum. In times like today where the competition is intense and crueler than before, the chances of success ever so frail given the rising corruption in all spheres of life and the constantly flickering destinies of a country that is subjected to frequent change in various public policies being further burdened by changing international trends is enough to belittle the hope of those who wish to make a name for themselves like the great Kalam. And this is where lies the great lesson from the exemplary life of India’s great son: APJ Kalam. What we are born with is certainly not in our control. We don’t have the freedom to even choose our name, fundamentally or the existing financial or economic support system we are born in. But, what we do with our given talents, intellectual powers and abilities plays a huge role in deciding the fate of our destiny in the long run. It would have been a very acceptable and easy choice for the Former President to have called it quits very early into his professional life as long before he could even educate himself to be in a position from where he could have called on the path he was to take in life, he neither had the emotional, physical or structural support required to make a decent living. Poverty wasn’t a choice but a way of life. Economic struggle weren’t just a blemish but the stark reality he was confronted with at all steps of his life. 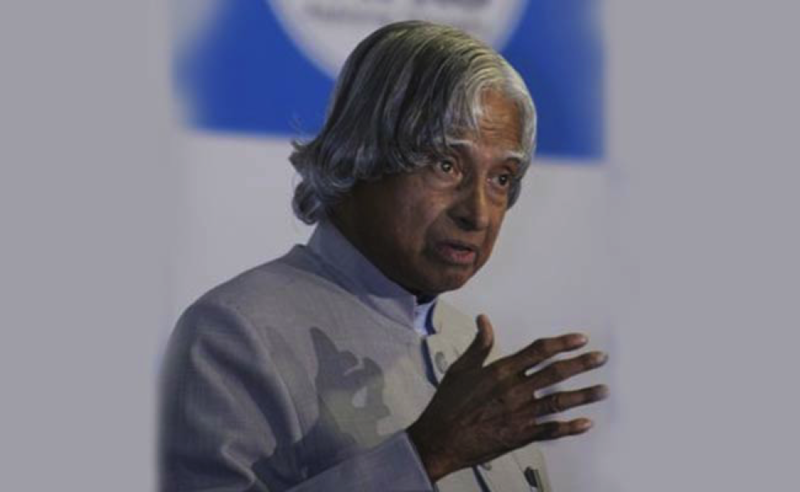 Undeterred by the lack of financial support from a loving family and unflinching in his determination to succeed, President Kalam fought not just the social stigma associated with a financially hampered standard of living but the existential crisis of his life that had threatened him to take the path to progress at every step of life. How he became what he finally became is fundamental in understanding the great man’s monumental journey and it is a journey that an entire nation including its poor, its rich, its forgotten and its successful can be proud of.